"... very moving and highly personal statements by a composer whose work deserves better recognition ... Storgärds does an excellent job conducting and the Helsinki Philharmonic plays extraordinarily well ... a keeper." "Four Stars ... Best of the Year ... the sound is lush and very picturesque ... Colin Currie demonstrates again why he is one of the world’s great percussionists with a true sensitivity to modern music. The Helsinki Philharmonic Orchestra under conductor John Storgårds performs wonderfully." "... a superb release with outstanding performances ... superb recorded sound ... these lushly scored and often beautiful works should appeal to anyone looking for attractive and accessible contemporary music ... this very fine release fills important gaps in this composer’s generous discography." "Recording of the Month ... (a) scintillating performance in a barnstorming account caught splendidly ... superlative sound ... Storgårds and the Helsinki Philharmonic Orchestra give exemplary support in the big-boned textures of both concertos but also shine on their own ... an immensely noteworthy issue ..."
This Grammy-nominated recording of world premieres comes with a long list of critical accolades and awards from around the world. The programme by the Helsinki Philarmonic Orchestra under John Storgårds couples Finnish composer Einojuhani Rautavaara’s most recent concerto works with an orchestral piece from his early Modernist period, Modificata. 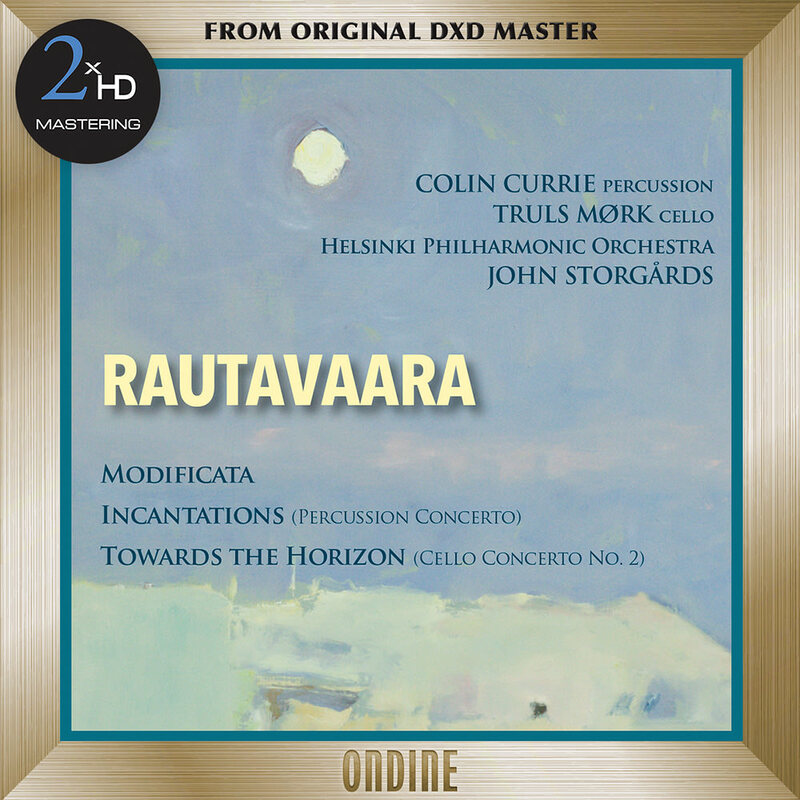 Rautavaara’s cello concerto Towards the Horizon was written for cellist Truls Mørk and is performed continuously in one 20-minute movement.